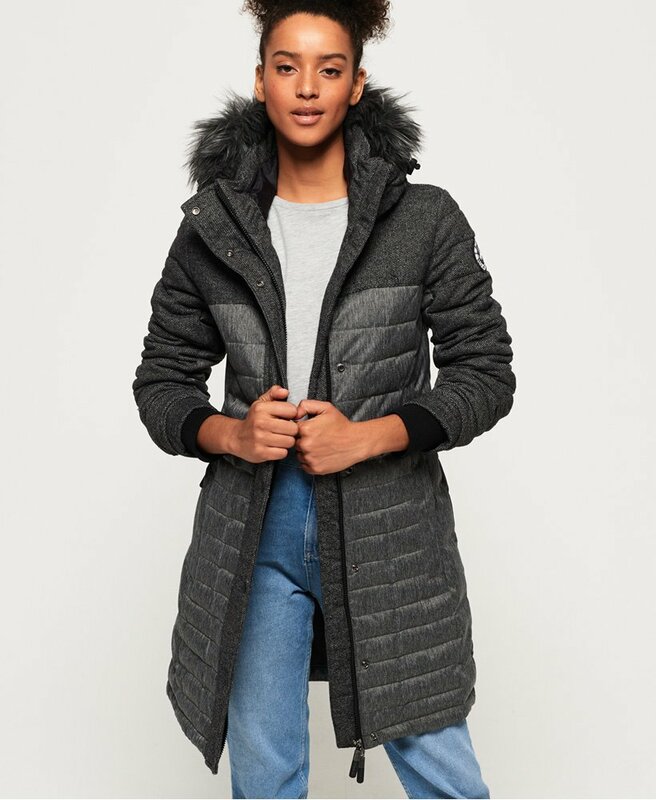 Superdry women’s Elements tweed hooded Parka jacket. Keep out the chill this season with the Elements tweed hooded Parka jacket. This jacket features a bungee cord adjustable hood with detachable faux fur trim, zip and popper fastening and two zip fastened front pockets. Completed with a Superdry logo badge on one sleeve, this jacket is a must have in your wardrobe this season.